The SAISD Foundation works to strengthen business partnerships to benefit SAISD students. We work in collaboration with the school district to connect businesses to the schools and programs that will be a good fit. 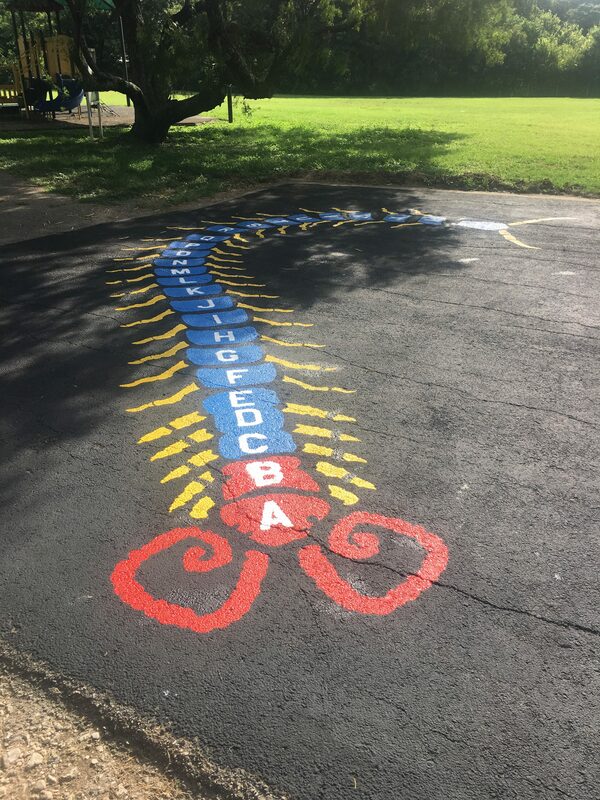 Featured above, the employees of Freeman Coliseum worked to liven up the Gates Elementary school playground for the start of 2016-2017 school year. 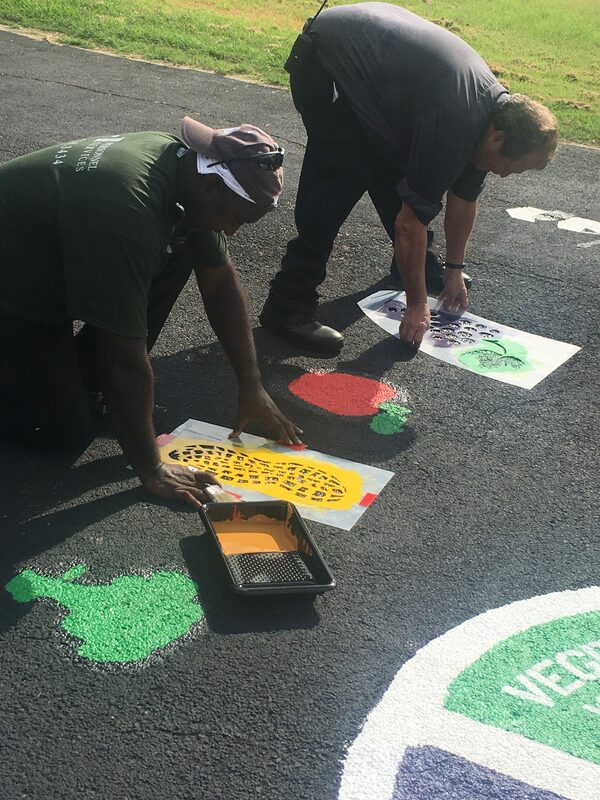 In addition, Freeman Coliseum purchased the stencils that we can now use across other playgrounds in the District. Theses types of partnerships help to support our mission and most importantly, our students. We welcome you to contact us to discuss creative and mutual opportunities to benefit our students. Business partners are also invited to sponsor a variety of District events and trainings throughout the school year. Click here for a listing of available 2016-2017 sponsorships or contact us at (210) 554-2235.